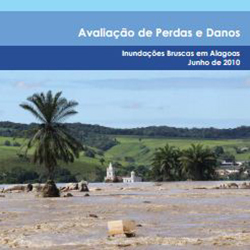 The 2012 URBR event – Understanding Nature and Reducing Impacts – will be held in Belo Horizonte from November 12th to 14th. The Ministry of Integration will serve as the principal organizing body with support from the World Bank, the State Government of Minas Gerais and City of Belo Horizonte. The event will aim to serve as a platform for a multidisciplinary discussion of risk management among specialists, policy-makers, academics and government officials. Both lecturers and discussion leaders will draw on local and international case studies to address a variety of risk management themes and how they can best be applied in Brazil.